The Asantehene, Otumfuo Osei Tutu II, was on Friday issued with voter identification (ID) card after going through the biometric voters’ registration. Justice Nicholas Abodakpi, sitting at an Accra Fast Track High Court, hearing a contempt case filed by King Tackie Tawiah III against his main contender, Nii Adama Latse and six others, yesterday indicated that he had jurisdiction to rule on the matter. He therefore ordered parties involved in the case not to file any application at any court unless granted leave by his court. 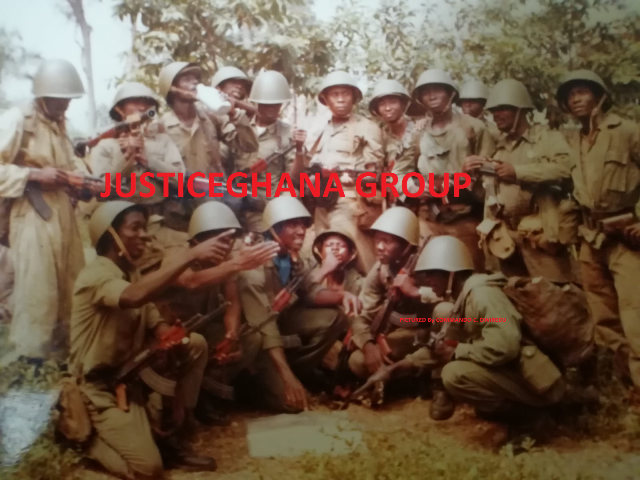 Dr. Josiah Aryeh was the counsel for the respondents, Nii Adama Latse, who was also enstooled as Ga Mantse, Nii Yaote Otoga, Yaya Addey, Sakumo Wolomo, Nii Armakai, and David Tackie Commey. Lawyers for the two parties, Dr. Josiah Aryee and Nii Ayikoi Otoo, had earlier argued on the appropriate forum where an application for stay should have been heard. The Accra Fast Track High Court, at its previous sitting, decided to give ruling on whether to direct the respondents to the Court of Appeal to have their application for stay of proceedings heard or to hear it itself. After hours of argument by counsel in the case, Justice Abodakpi ruled that his outfit had the authority to rule on the issue. Dr. Aryee, moving the application, told the court only the Attorney General (AG) had the capacity to bring an action against the respondents but not the applicant, King Tawiah. He noted that there was an issue of perjury involved in the case because the court was led to believe that there was an issue before the Greater Accra House of Chiefs against Nii Latse. According to him, the court had an inherent jurisdiction to ensure that justice was done and the ability to control its own process and prayed the court to grant the application. Mr Ayikoi Otoo, counsel for the applicant, in his response, told the court that the Court of Appeal was the appropriate place for the application to be heard and cited authorities to support his case. According to him, the mandate had now been given to the Court of Appeal to hear such applications and prayed the court not to grant the application. A substantive contempt case had been filed by King Tackie Tawiah III against his main contender, Nii Latse and six others for allegedly disobeying the decision of the Judicial Committee of the Greater Accra House of Chiefs. The House of Chiefs refused to stop King Tawiah from holding himself as Ga Mantse till the final determination of the matter. The case has consequently been adjourned to April 26, 2012 for further hearing.